Seth responded to a post on Reddit where the OP brought up 8 of (in his mind) the worst cards at tournament standard. Seth gave his thoughts on all 8 cards and I thought it'd be worth showing. I'll quote what he said then provide a brief tl;dr below. - Freeze: We had a balanced Freeze (as in, within our acceptable use/win rates) for 2 months and it produced a pretty unfun meta. Freeze is a tough design to balance since there is no counterplay. It punishes you for doing exactly what you should do (playing cards to defend attacks) and thus isn't something we want to be as popular as Fireball. Its currently at a 3% use rate in GCs and I think thats about perfect for a card like that. It should be a rare surprise, not a meta staple. - Arrows: We have looked into ways to buff it, but a lot of the mechanical additions (like adding a Snare effect) won't be happening because its a starting deck card. We don't want to confuse new players with a lot of mechanics, keep the focus on core health/damage gameplay. Potentially buffed in the future, likely either Damage or Projectile speed. - Barb Hut: The biggest victim of the Barb changes, we are going to let them settle for a bit before addressing Barb Hut. 5-cost Barbs are still a bit strong (though still within acceptable ranges) so we just want to wait and see if we need to change Barbs anymore before we buff the Barb Hut. - Mirror: We have spoken about this card a lot but nearly every proposed change would require a client update. This card needs more than just stat changes as the visuals can be confusing. Every single day we receive player support tickets about 'hackers' that turn out to just be Mirror users. So this is more than just a balance thing, but likely a time-consuming rework that makes the visuals/mechanics more clear. - Elite Barbs: We have a rework/buff in development, won't be in the May balances but potentially over the summer and definitely in 2019. Like Royal Giant, this is a card that is very controversial and we don't want to have to make multiple passes at it. Better to playtest a ton and get it right than rush it out. - Bomber: As other comments have mentioned... Bomber is kind of balanced. The stats are insane for the cost, the issue is that there has never been a meta without Air troops or Fireball/Poison to provide value. I wouldn't rule out a buff, but its somewhat difficult to just keep increasing the stats over and over again given how good it already is in the right situation. - Wizard: A tricky card, like Elite Barbs. Its weak in Grand Challenge but the single MOST played Troop in the entire game. Players tend to "feel" use rates more than win rates, and when we buff popular (high use) but weak (low winrate) cards, the outrage is loud. Wizard, Witch, and Valk buffs have all been received poorly, like "why are you buffing a card I already see all the time". Wizard isn't really a weak card either - its very good in a wide range of situations and especially in variant modes like Draft or 2v2. But 1v1 constructed metas, like Bomber, have always been set up to deal with him via Zap/Fireball or Lightning. - Rage: Like Freeze, this is a tricky design. It scales on time instead of damage/health, which makes it hard to buff in a way that makes sense with all the other cards in the game. Like many of the cards in this list, Rage isn't great in normal constructed modes but has a lot of value in other modes like Draft, Touchdown, Sudden Death, Triple Elixir etc. There are no plans to buff or rework Rage, but we did move it from an early Arena card to a late Arena card to prevent new players from getting too dependent on it. Freeze: Balanced. It shouldn't be prevalent in the meta, it should be a surprise card. Mirror: Most suggested changes require a client update. Could make the card easier to identify when played so people don't think it's a hack. EBarbs: Want to make sure the change is just right before releasing the rework. Not coming in May, possibly could over summer. Bomber: Good stats but easy to deal with. Rage: No plans for this card. Look at the live date. It's legit, as confirmed by OJ. But it would be a bad joke if it isn't. Seth said "I'm not kidding, I'm not joking around, 100%, Elite Barbarians are going to be changed in this balance update." in the interview. Note that the interview was after the March update announcement, and Seth used "are going to" instead of "were going to", meaning that he was referring to April balance update. He did said "were" not "are." He was talking about the March update and how they cut that EBarbs change from the final patch notes. The only thing about EBarbs he confirmed about is they will be changed sometime before the end of the year but they have a change in testing atm so probably soon. He said on Reddit they held back on an EBarbs change because they didn't want to possibly dramatically shake up the meta, which is the most diverse they've ever seen. And to ferrell34, yes, that is correct. GS now has equal mass with Giant and Golem, via Seth on Reddit. CWA and OJ both interviewed Seth about various balance questions. It included cards that were changed, cards that were not changed, and the balance plan. If you want to see the full length interviews the videos are down below (they are two different parts). I will provide a summary (still long but hopefully not too long) below. I also posted something similar in the News Royale channel of the Community Royale Discord server. Every few months, the team tries to focus on the weaker cards rather than the stronger cards, trying to buff them to get them viable. 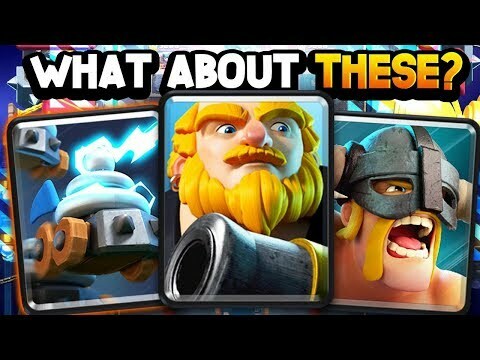 The Barbarian change not only allowed them to get a weak card hopefully viable, it also allowed them to nerf the most used card (Barbarian Barrel) and the highest win rate for a win condition (Battle Ram). They had been hesitant to buff Barbarians because of their popularity on Ladder. Similar to Witch and Wizard, who are weak competitively but prevalent on Ladder, it could confuse casual players who mostly play Ladder if those cards they're seeing frequently get buffed rather than nerfed. Most people interpreted the change as a nerf to the Barbarians, but it's a 25% DPS buff which more than makes up for the HP nerf and staggered deployment time. They had an Elite Barbarians change planned for this balance update, but it got cut from the final patch notes. They figured an EBarb change would overshadow the Barb rework which was the main point of this balance update. They do have a rework/buff in playtesting that they like and should come out sometime this year. Like Barbarians, they are hesitant to buff/rework EBarbs due to their popularity. Not only are they used a lot, they are also one of the most upgraded cards in the game. Royal Giant is one of the strongest win conditions across the board, however its win rates are not too high. The team prefers that a low skill cap card like RG isn't a top deck, so if it remains strong they might nerf it. The rework they did is considered by the team one of the most successful balance changes (individually, not as each balance patch) they've ever done. Zappies is an annoying card because they can render the opponent's cards ineffective if they are working. Seth prefers cards like that (Freeze, Ram Rider) to be niche cards, viable, but low use rates. The card has win rates around 48-49% so it isn't terribly underpowered. The Barb rework could also help Zappies as another Fireball bait card. The Ram Rider if it needs a nerf will probably have its crowd-control capabilities dialed down a bit. The team wanted her to be good on defense. The Bomber has been outclassed by virtually every splasher. They've tested a couple potential changes (adding a death damage or making it 2 elixir but dying to The Log) yet neither of those changes felt right. For the death damage in particular, it made the card feel like a suicide defensive fireball. Additionally, as a lower arena Common, it cannot be too complex for newer players to pick up and understand. X-Bow had okay use rates but low win rates. The buff isn't as significant as people think because since the building still lasts 40 seconds, it actually decays health faster. He wanted X-Bow to be a bit better against Rocket. He doesn't think the buff will substantially improve the card, but he did want to improve the HP-to-elixir ratio with the Mortar. Since Seth joined the CR dev team, Three Musketeers have consistently had a high win rate. Even when they nerfed support cards (Ice Golem, Elixir Collector, Minion Horde, Battle Ram) the card would still be atop the win rates. 3M was consistently a top 3 deck in the game. It is considered by the players as one of the hardest deck types to plan how to counter. When it got time to nerf the 3M, the team debated two changes, cost increase, and deploy time increase. Each had its drawbacks (cost change results in a bit of elixir leaked, deploy time gives slightly more time to build up a push behind the King Tower) and ultimately they settled on the cost change because players were still getting a bargain (10.6 elixir for a 12-elixir value card). To rectify the problem of leaking elixir, the team discussed bringing back the "11th elixir" feature that was in the game until Sept 2016? (I forget exactly when it got removed). However, for multiple reasons which are not mentioned, they decided against that. The card currently has a mid-30s percent win rate, which obviously isn't ideal, but that can partly be explained by people's mindsets that the card is trash. If the card gets up to a mid-40s percent win rate they'll probably keep 3M at 10. Otherwise, they might bring the cost back down to 9 elixir. They feel that bringing 3M back down to 9 elixir won't make them OP again because they have buffed counters to 3M (Barbarians, Bomb Tower) and also Battle Ram cannot function as a lightning rod anymore. Seth feels that the current meta without 3M is the most diverse the game has seen. The team discussed initially buffing Bomb Tower's HP, but decided for a death damage. Instead of being a building that players try to distract units away from the tower, like Tesla or Inferno Tower, it can be a building that can be played right in the lane to kill a lot of units. Seth thinks that Bomb Tower could turn into an effective counter for the Bridge Spam archetype. Seth doesn't think that Barbarians will fit into 3M decks because their role doesn't fit well in that deck. He does think that it will help other Fireball bait cards, like Zappies, Magic Archer, and Flying Machine. If Barbarian Barrel remains too popular and the "classic" Barbarians are strong, they do have a little room to further bring down the Barbarian's HP. 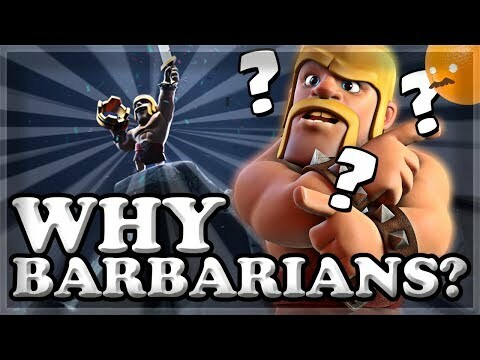 He pointed out that in Clash of Clans, Barbarians aren't really tanky. CoC is also where they got the inspiration for Bomb Tower death damage. Additionally barbarians were functionally very similar to Royal Recruits in terms of HP. The Rascal girls spawn before the boy because they wanted to add a bit of a skill cap to the card. Now the card has to be played earlier on defense and the player has to be smart and protect the Rascal girls. Now you can't just plant a Mortar and immediately place Rascals in front of it. I feel like pekka and knight has overlapping roles. they are both tanky and melee. change it to a low damage spell like zap. Note: The changes do not supersede or replace the old infraction system. There are still mild, medium, severe warnings worth 1, 2, and 3 points respectively, with 4 points a 5-day ban, 8 points a 10 day ban, and 10 points a permanent ban. Good behavior is still the same. The changes add on to the current system we have. The mod team has discussed that there gets to a point where even one has too many "expired" warnings. They don't count for points, but they are still on a forumer's record. If a forumer keeps violating rules but spreads them out so they don't have 10 active infraction points, that is not a good sign. Therefore, we have decided that if a forumer has 15 total infraction points (active and expired), they will receive a permanent ban. Having 10 total infraction points will be a 7-day temporary ban. If anyone currently has 10-14 total infraction points, they will NOT be temporarily banned, until their next infraction received. Same for if someone currently has 15 total points--no perma ban until the next violation. Now for the clarification: Its been kind of an unwritten rule, but receiving warning for a violation you already committed is automatically a more serious infraction. That's now an official rule (admittedly I was a bit inconsistent with this early on but not anymore) and it also applies for expired warnings too. For example, if you received a mild warning, but it has expired, then you get caught violating the same rule, that is a medium warning. Please note that temporary bans are still disabled and that warnings must be manually expired by a mod. If you have warnings that are expired, please private message any of us staff so we can verify that it is expired.